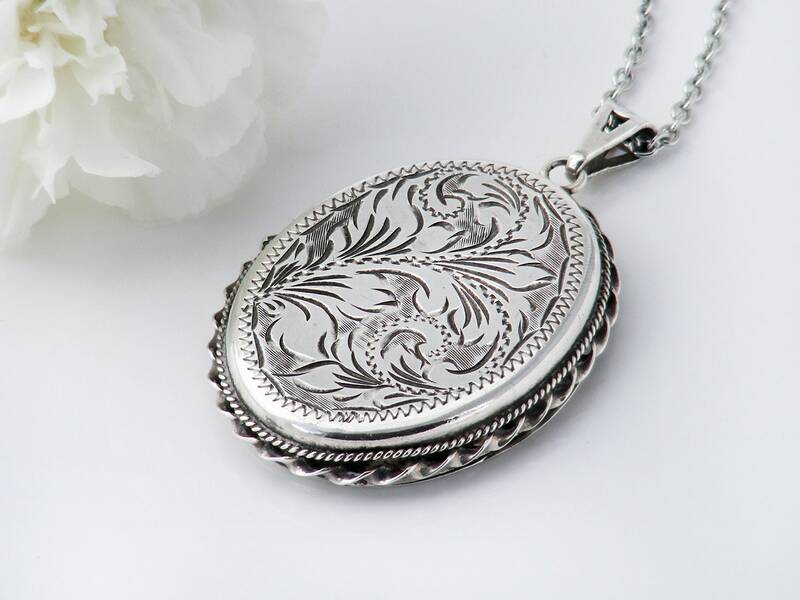 A larger sized vintage 1970s sterling silver locket, hand chased with intricate feathered flourishes to the front and a classic twist or 'pie-crust' trim. Full hallmarks for sterling silver, the city of Birmingham, England and the year 1978. 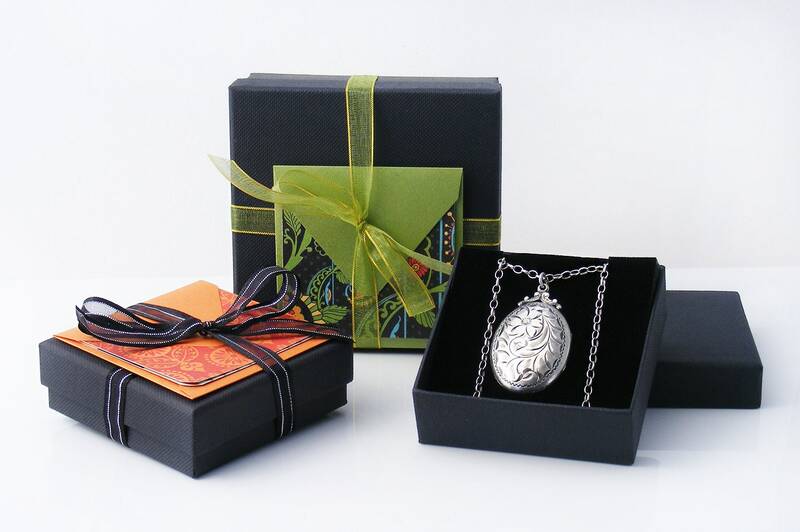 The locket opens towards the back and has the original brown velvet liner and one photo position. The photo retainer rim is fixed in place with this piece; a photo simply tucks underneath. 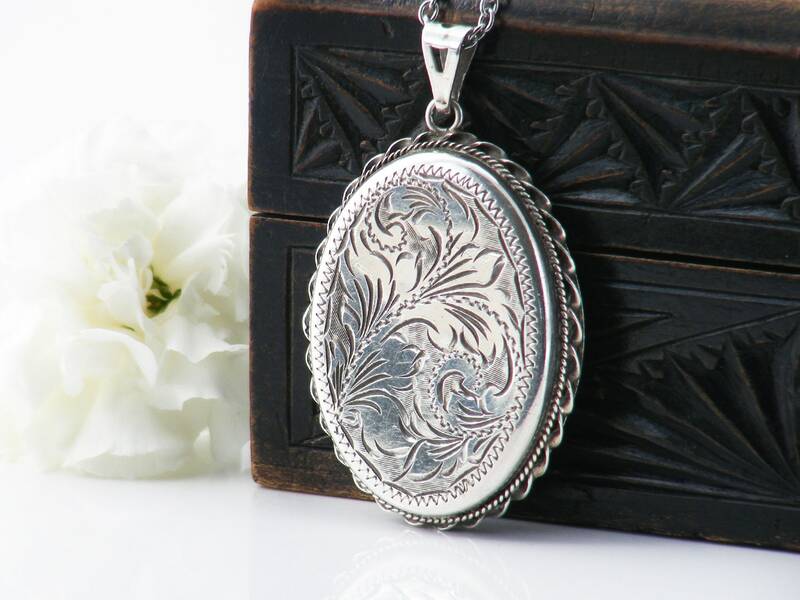 The back of the locket is also beautifully chased. 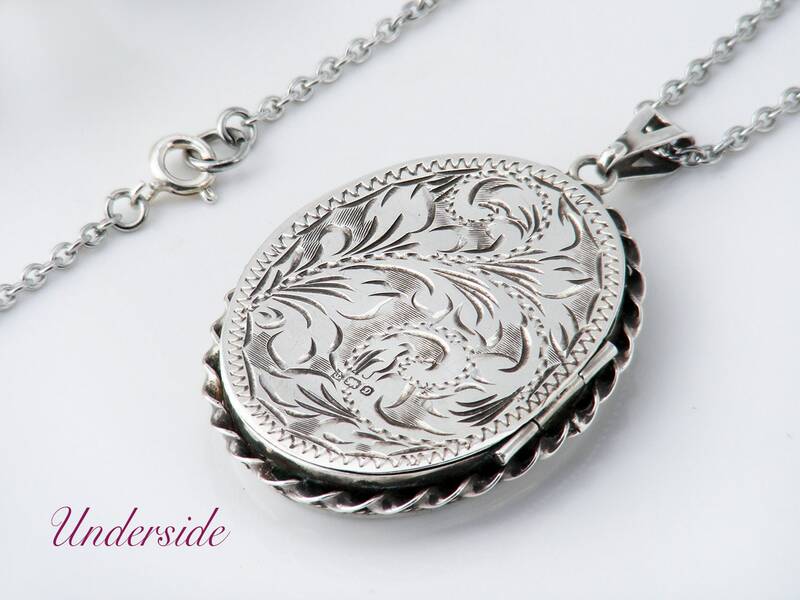 A large locket, 1.3 x 1.65 inches (33 x 42mm) in size and approximately 7 mm in thickness. Condition: Excellent. 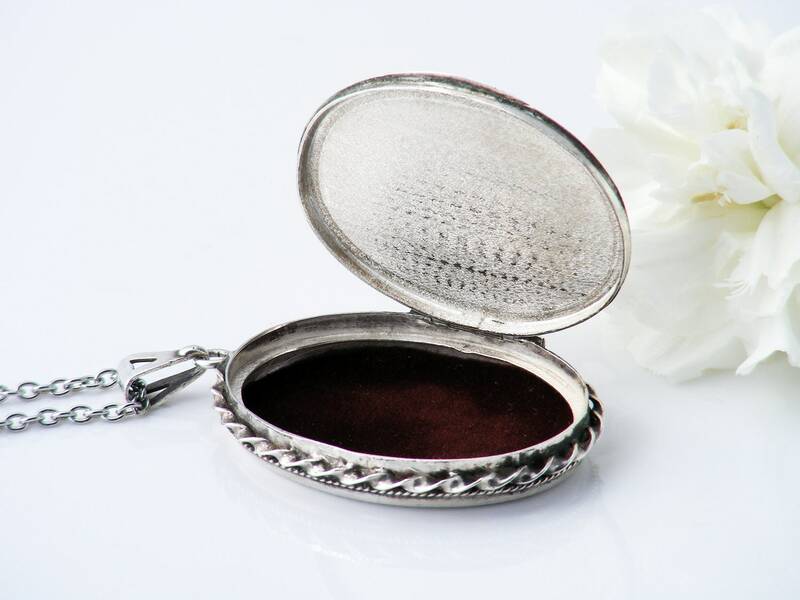 The locket looks as if it has rarely been worn and the inside appears unused. Closure is tight and firm, hinge strong.